SCM announces the opening of a sales and service location in Vancouver, British Columbia. "Our recent location opening in the Western Canadian market is a direct response to the need to increase our footprint from a sales and service standpoint,” Richard Bluteau, the company’s director of sales, said in a statement. “SCM’s year-over-year growth has allowed us to expand our capabilities to better sustain business. As we&apos;re seeing industry growth trends continue on the uptick, we look forward to maximizing new opportunities in the B.C. and Alberta market." In early October, Leitz Tooling opened a new facility for service in the greater Reno, Nev., area. 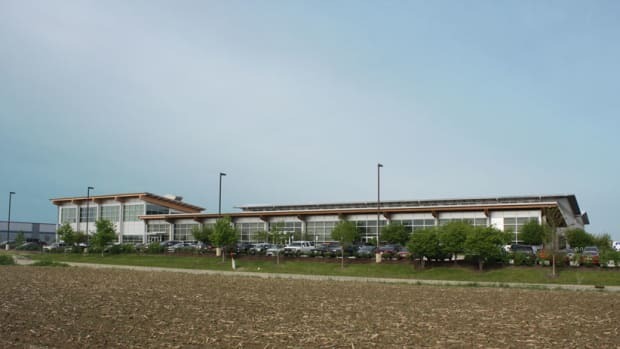 Vollmer of America announced it will be moving to a new building that is almost three times the size of its current location in Carnegie, Pa.
Festool recently announced that the headquarters for Festool USA and Festool Canada in Lebanon, Ind., will expand by 80,000 sq. ft.